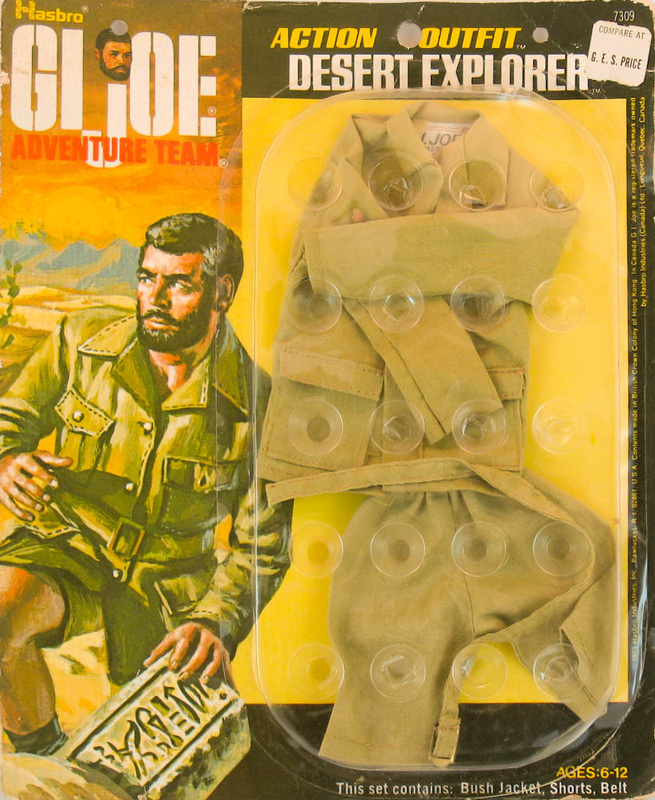 Desert Explorer (7309-5) is truly a basic set, offering only a jacket, shorts, and a belt. The socks and canteen in the spin above are my additions to dress the figure a bit. 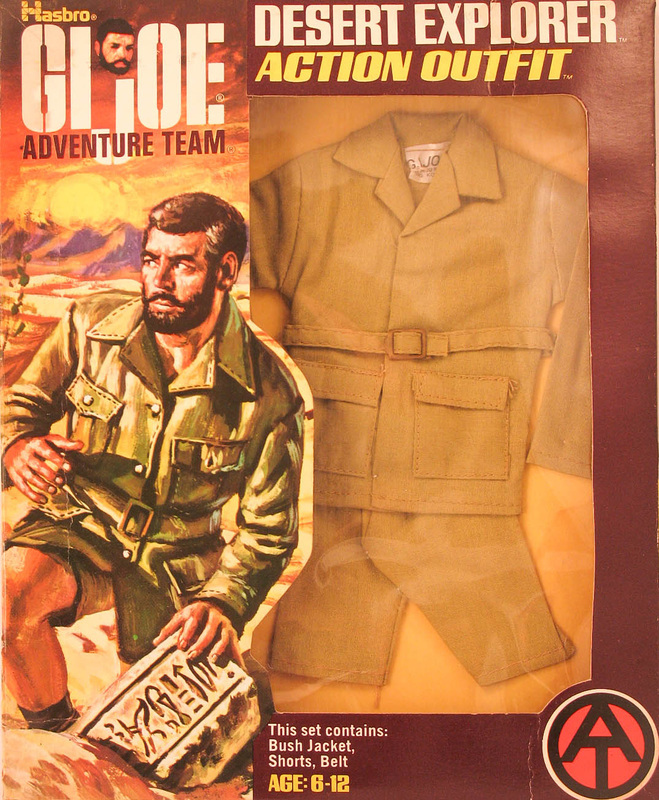 The standard 1973 boxed version is shown immediately below. Above, a rarer first issue of the 1973 box with a four pocket top. courtesy of Dan Whitton. See his ebay sales here! 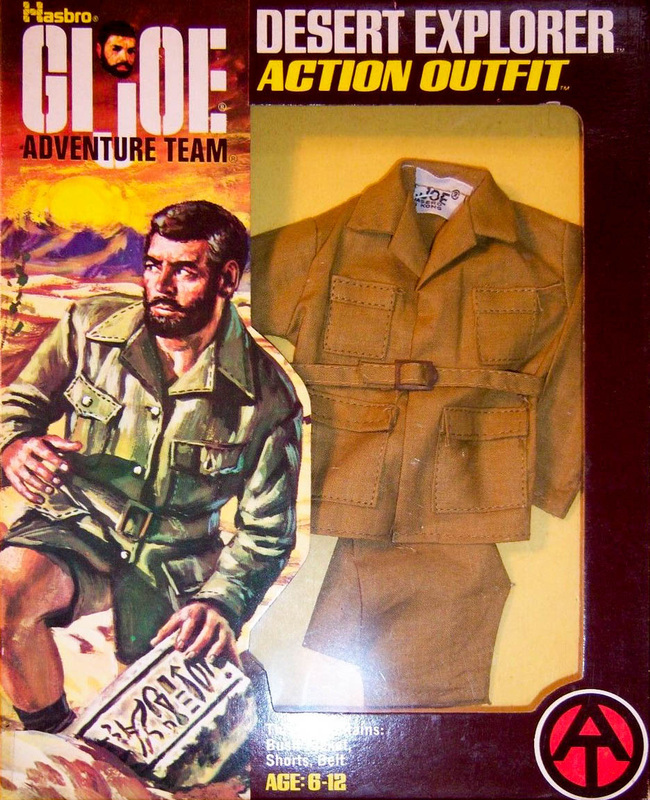 Below, the 1974 carded version. Note the difference in color. The set can be found in brownish tan and greenish tan.